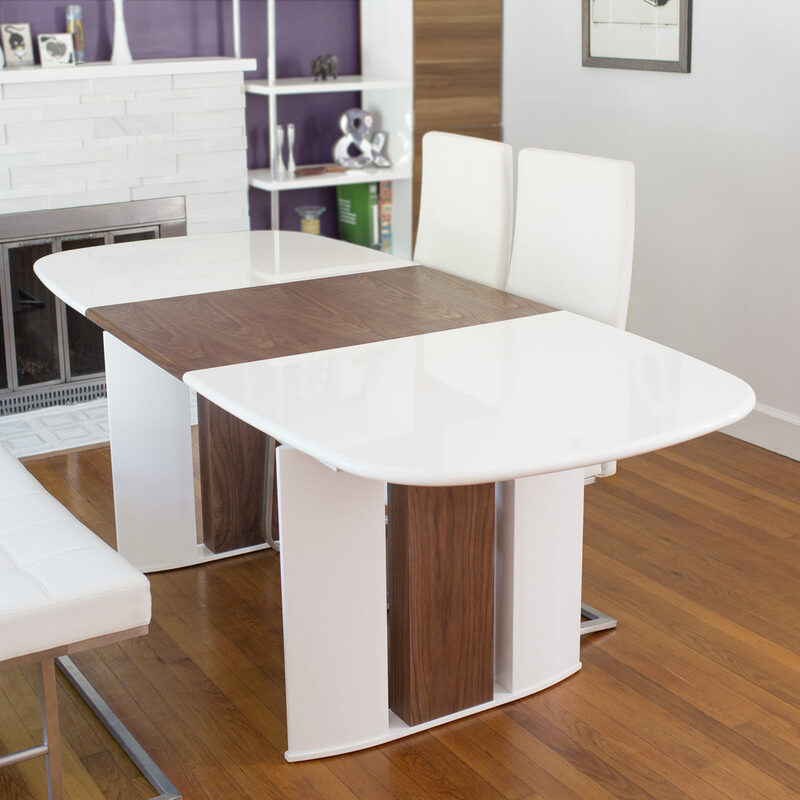 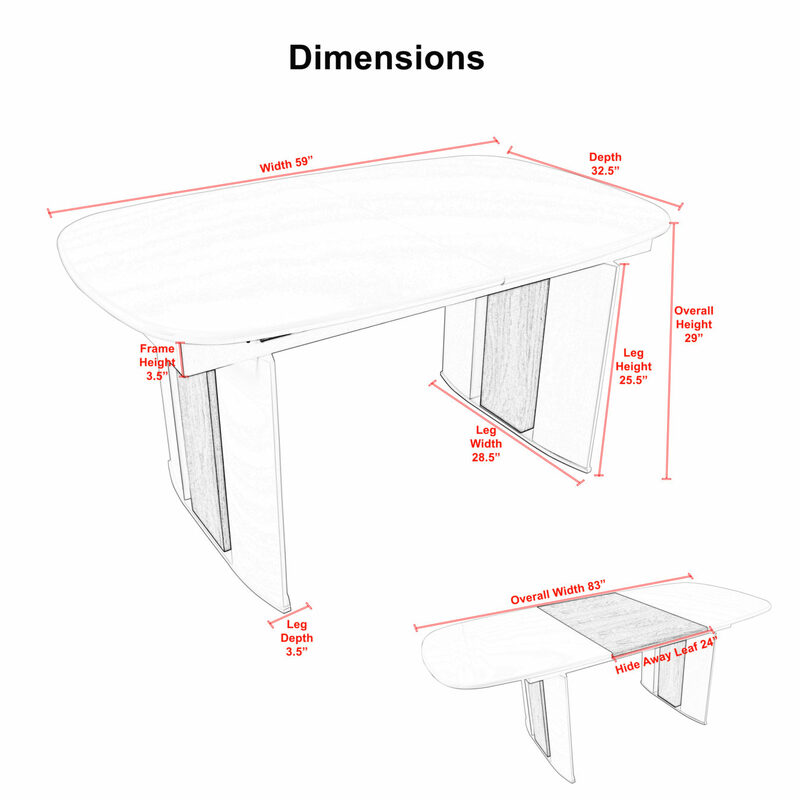 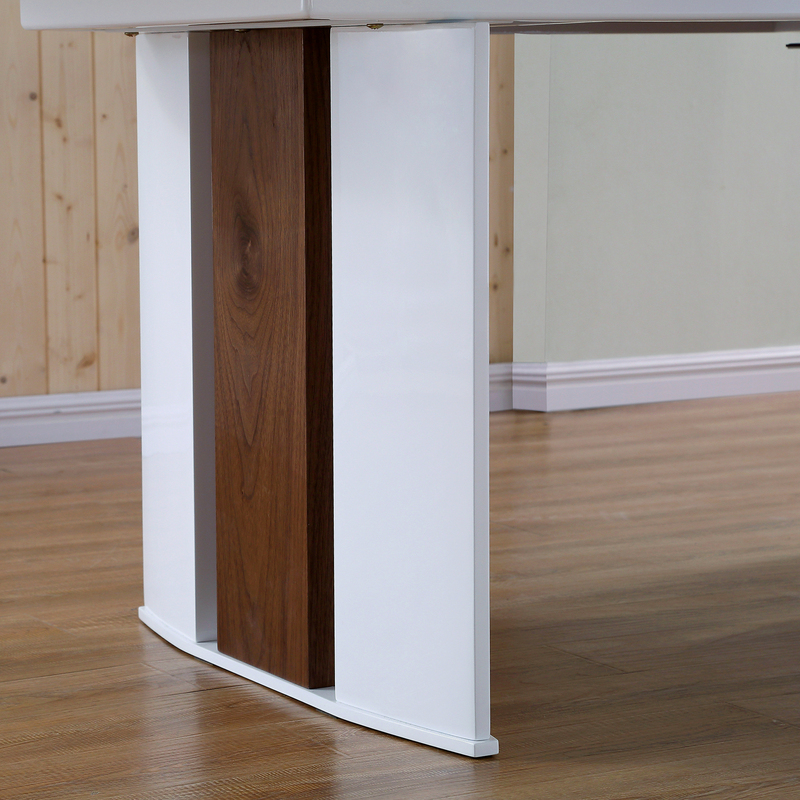 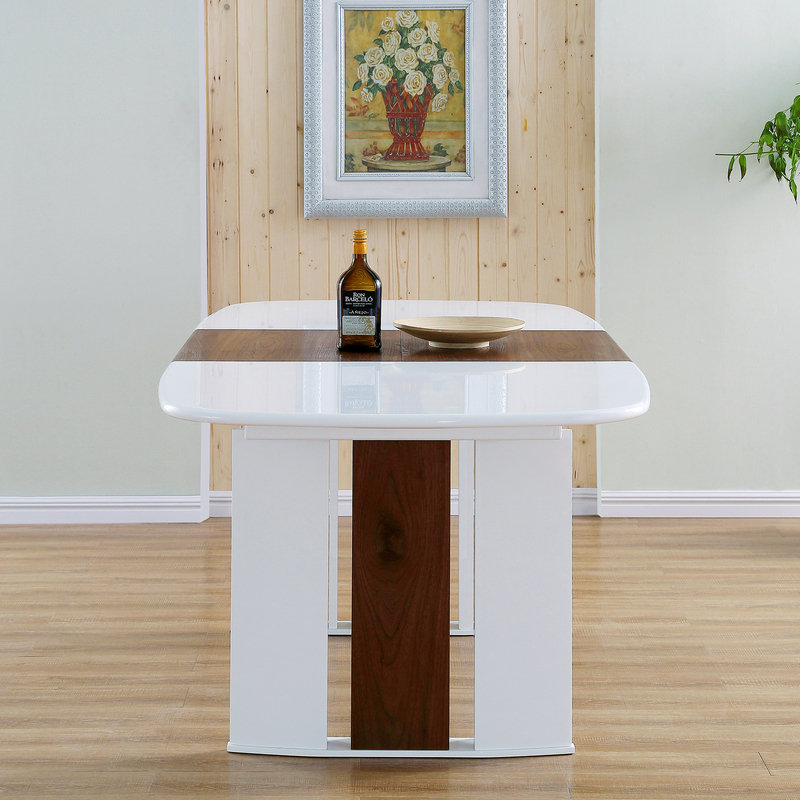 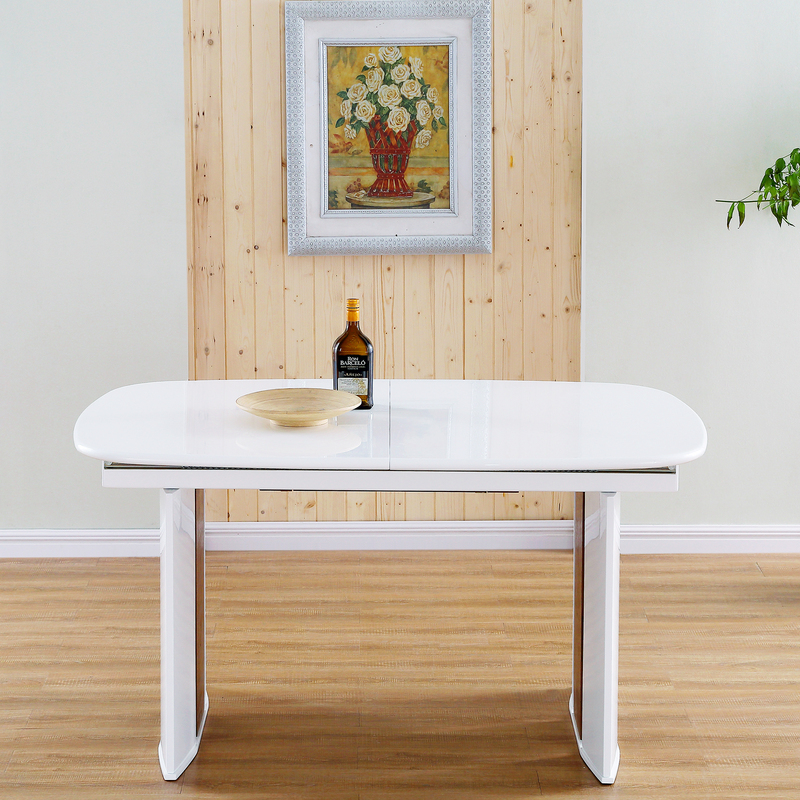 A stylish, mix-medium dining room table designed for urban convenience. 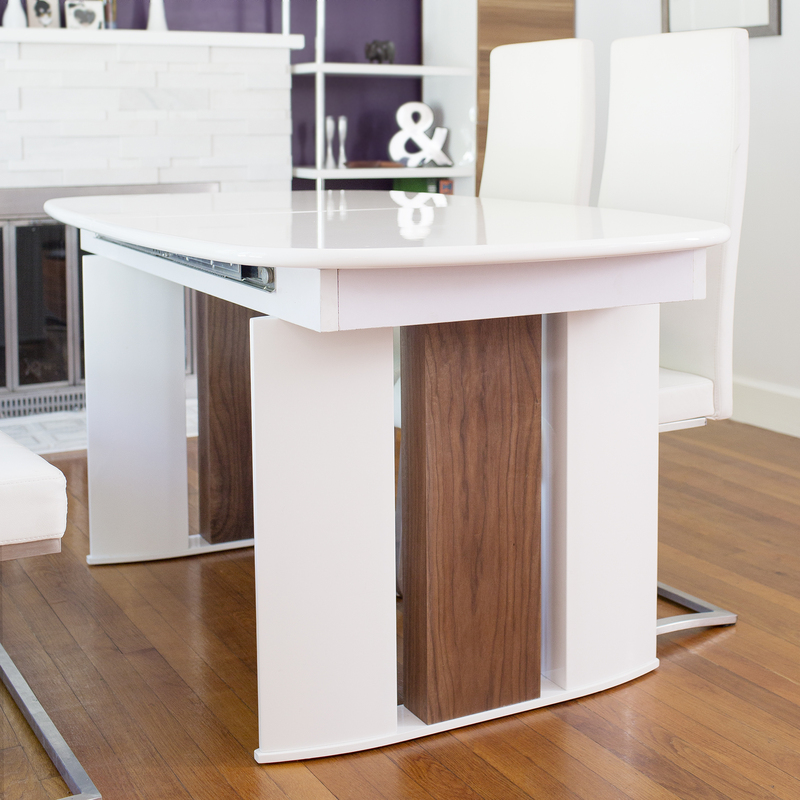 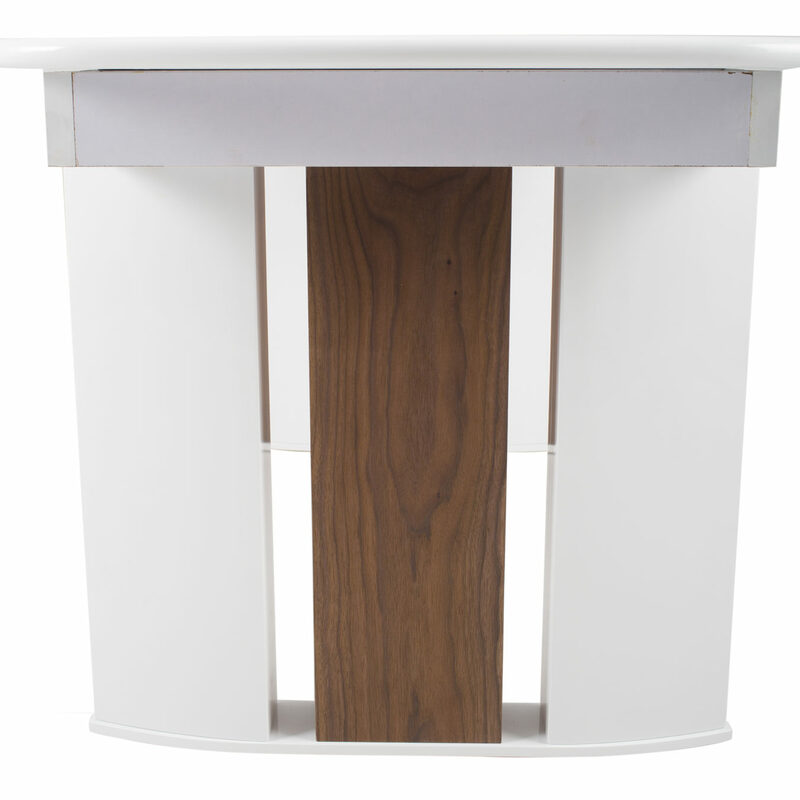 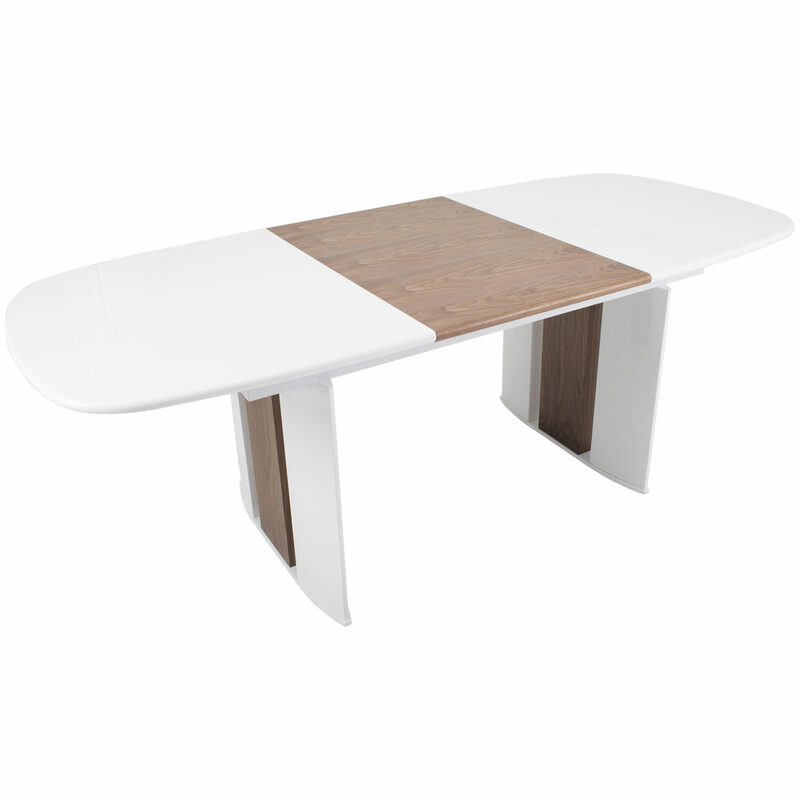 You’ll love the modern pairing of white lacquer, sleek wood and metal trim. 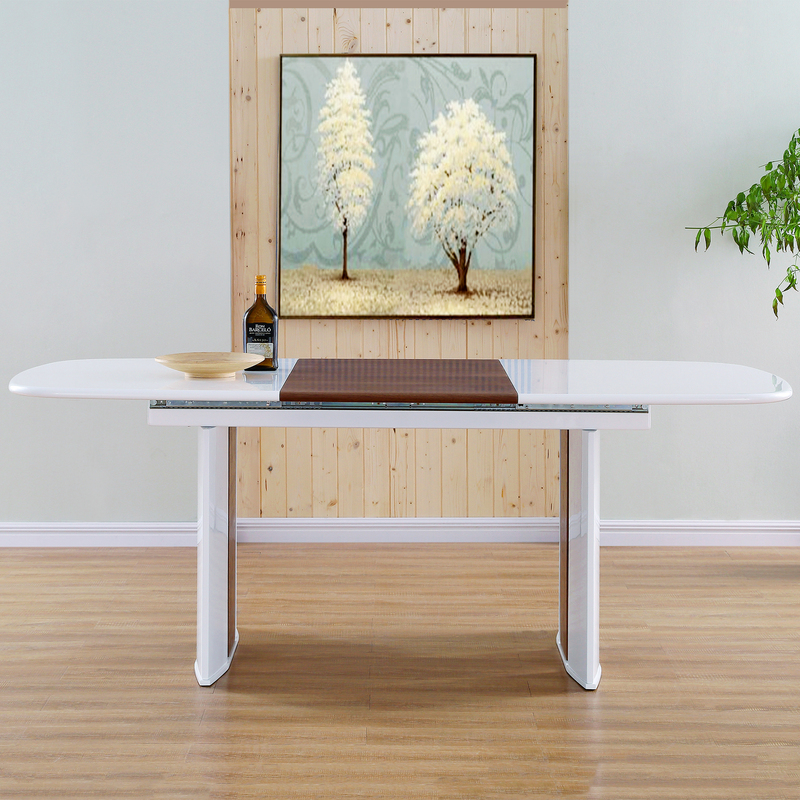 Simple to adjust, just add the center leaf to give yourself more room to work, eat or play. 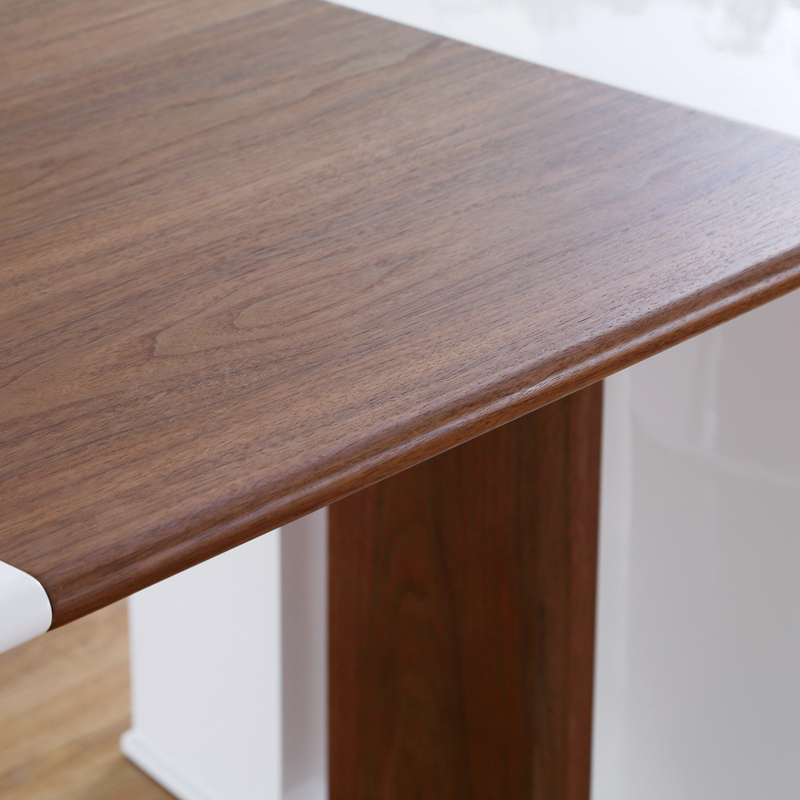 Walnut Solid Wood Hide-Away Extension Leaf. 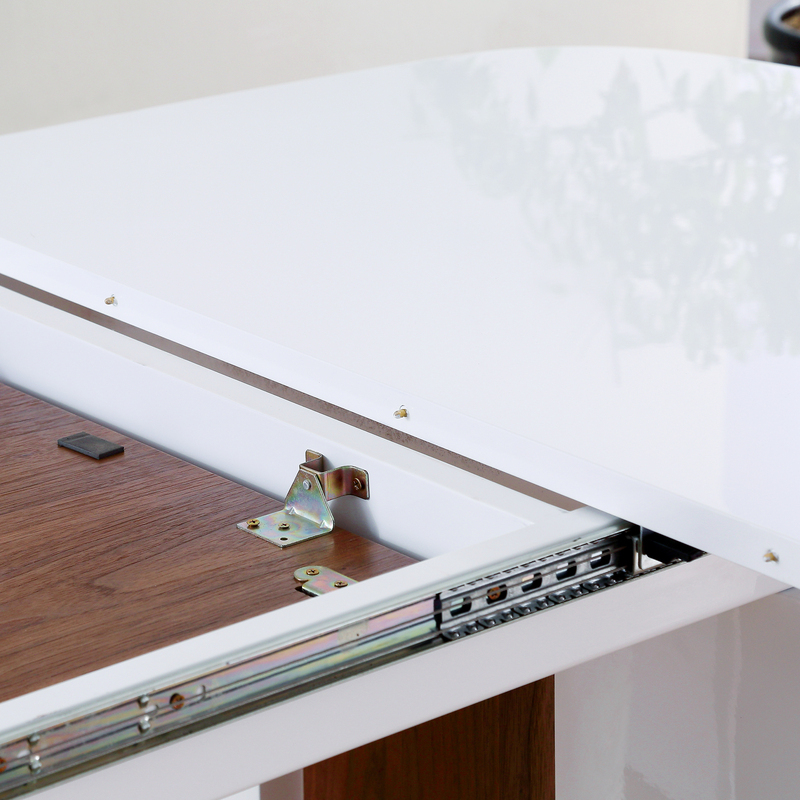 Simple adjustable Mechanism.